HOUSTON (KTRK) -- The man who was once the victim of police brutality caught on video was in court this morning for the first time since he's been charged with capital murder. The man who was once a victim of police brutality caught on tape is now charged with capital murder and linked to an accused child killer from a recent high-profile case. Police say Chad Holley, 22, shot and killed David Trejo-Gonzalez, 42, on September 21. For more than two months, no one was charged with his murder. Two days ago, prosecutors say a witness came forward placing not only Holley, but also an accused child killer, at the scene of Trejo-Gonzalez's murder. 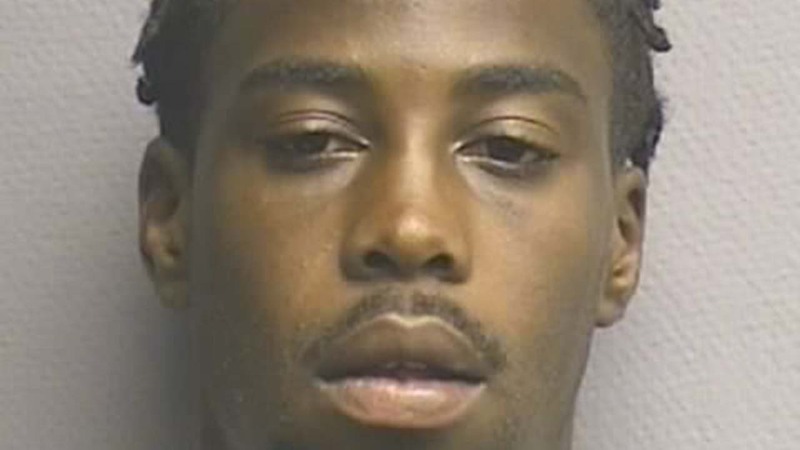 Chad Holley, the man at the center of a 2010 beating probe involving Houston police, has been charged with capital murder. Investigators say the witness saw Holley and Philip Battles run from the apartment complex after hearing the fatal shot that killed Trejo-Gonazlez. The witness also said he saw Holley run behind a check cashing store and toss a gun into the dumpster. He said Holley told him he had just killed someone for drug money and asked the witness to be an alibi if police came looking for Holley. Philip Battles, aka Pewee, is accused with two others in last month's murder of Ava Castillo, 4. He has a second capital murder charge from the killing of Ignacio Ortega, 62, on November 7, a week before the little girl's death. Eyewitness News was the first to tell you investigators believed Battles was linked to Trejo-Gonzalez's murder. He hasn't been charged in this case. Community activist Quanell X was in court supporting Holley. He's been vocal on behalf of the 22 year-old since 2010, when the video was released showing police beating and kicking Holley. "This is a hell of a case. Because a lot of us put a lot of time, hours, resources into helping Chad Holley. At the end of the day, is he guilty? I don't know," Quanell X said. "But that's not the Chad I know." Quanell X says Holley was would have been wearing an ankle monitor the night of the murder, as he was on probation for a burglary charge. He says that monitor, with GPS tracking, should show whether or not Holley was at the apartment the night Trejo-Gonzalez was gunned down. We tried to ask the prosecutor about the ankle monitor and other new details in the case, but he declined the comment.